Heat oven to 375°F. Spray 13x9-inch (3-quart) glass baking dish with cooking spray. 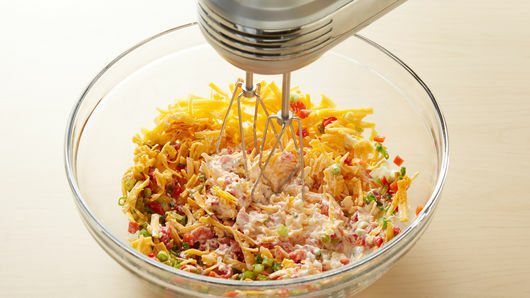 In medium bowl, beat Pimiento Cheese ingredients with electric mixer on medium speed 1 to 2 minutes or until creamy; refrigerate 15 minutes. Unroll 1 dough sheet on work surface; reshape into 12x8-inch rectangle. 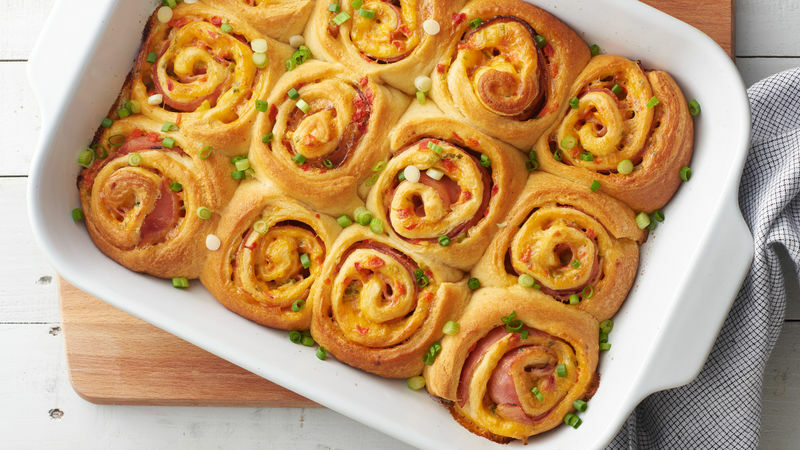 Carefully spread half of the pimiento cheese mixture onto dough sheet, to within 1 inch of one of the short ends, leaving room to seal the seams. 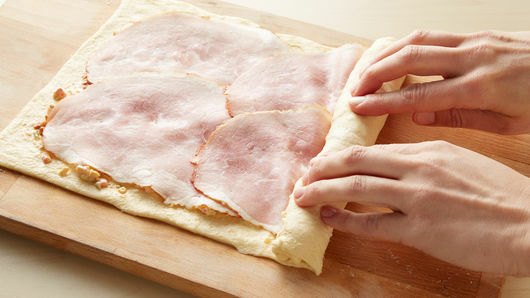 Place 4 ham slices evenly on top of cheese layer. Starting on short, topped edge of rectangle, roll up tightly, and pinch seam together. Repeat for remaining dough sheet. 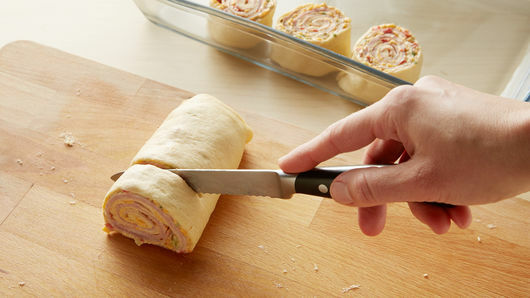 With serrated knife, carefully cut each roll into 6 slices, about 1 1/4 inches wide, and arrange spiral sides up in baking dish, reshaping into a round shape, if necessary. With piece of waxed paper, gently press down on tops of rolls to flatten slightly. Bake 25 to 30 minutes or until golden brown and dough is baked through. Garnish with additional sliced green onion, if desired. Serve warm. For less heat, leave out the ground red pepper or cut back on the pickled jalapeños. Pimiento cheese is also great in a grilled cheese sandwich or as a cracker spread.